Complete marketing and branding solutions for your business. We listen to you. With an understanding of what works and a bit of thoughtful planning, we can tackle your project no matter the size. There are no cookie-cutter recipes, every project is different and requires personalized attention. Our low overhead approach means that we can work within your budget and still deliver on time. Based in Austin, Texas, we can be anywhere in the state within hours. New work is being added each week. Take a look a the portfolio. Let us help with you with your visual identity needs and we’ll reserve a space for your next project here! Lifestory Films, our independent film production company, was created to capture stories that come from the heart. These films range from historical accounts to special projects that highlight community organizations and the people who make them special. We also create unique family history films and end of life stories that will help inform future generations about their roots. We’ll be showcasing some of this work very soon so please bookmark our page. World Class Video, Photography, Graphic and Web Design in Texas. Expert marketing solutions for your business or nonprofit organization. 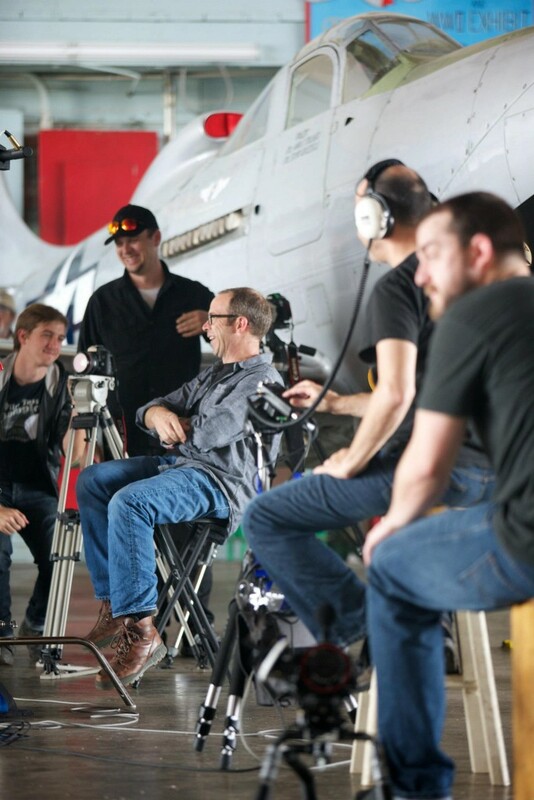 Lee and crew on set of The Yellow Rose Film Project. Austin, Texas-based photographer, Lee Kirgan was born in Albuquerque but claims to be a Texan. He grew up on a working ranch in the Texas Panhandle and rode in his first rodeo at the age of eight. He bought his first camera, a Canon AE1, at a pawnshop in Amarillo at eighteen and has been shooting since. He studied Theatre and Dramatic Writing at Texas Tech (still bitter about the whole Mike Leach debacle yet very happy that Kliff Kingsbury is now at TTU.) While at Tech, he worked as a photographer shooting sports and editorial and assisting other photographers whenever possible. Lee moved to Austin in 2000 where he owned and operated one of the largest commercial photo and video production studios in the country. Lee also served as the Director of Photography and Video at Dell where created the company’s in-house state-of-the-art photography and video studios. After 14 years in Austin, Lee and family moved to Abilene, Texas where he served as VP of marketing for First Financial Bankshares. While there he oversaw a dramatic shift to relevant marketing by creating more than 80 videos, updating traditional marketing assets and spearheading the company’s move into digital advertising and social media marketing. His work is seen statewide at 70 First Financial Bank locations. His proudest accomplishment at First Financial Bank was his work on the company’s Financial Exploitation Education program. Lee created marketing materials, videos and wrote the detailed entries that helped garner both state and national awards for the bank. After three years in the middle of Texas, he returned to Austin. Lee has been fortunate to work with some of the best people in the industry and, over the years, has been lucky to have had the best crews in the country. To Jason, Megan, Evan, Terry, Cambria, Katrina, Patrick, Jesse, Raubyn and Lara, Chris, Britton and so many others he offers sincere thanks. None of this would be possible without the collective talents of great teams. Above all Lee is a husband and a dad. He’s not ashamed to tell stories about his kids. Here are a couple of ways to get in touch!